At HairCareMD, the surgeons are each experts at following the patient’s existing hair as a roadmap to create a natural result. Each patient’s hair is uniquely distributed and angled. When a transplant is performed, new hair, which will grow for life, is placed alongside the original hair in the recipient zone. Careful study of the pre-transplant recipient hair dictates the pattern and placement strategy during transplant. Thus, each patient brings his or her own roadmap to each procedure. Patients will ask, when should I do a hair transplant? Uniformly, a transplant should be performed when there are bald spots between hairs. The new hairs are ideally placed between original hairs. 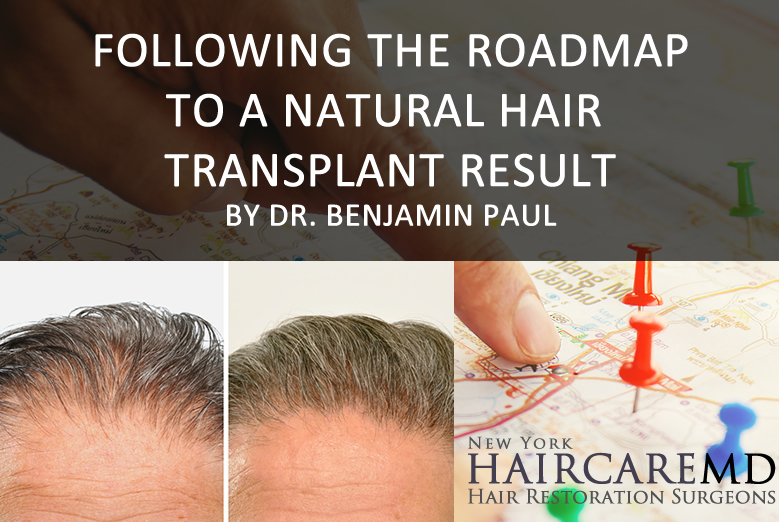 The original hair acts as the roadmap and guides the transplant. If you believe you are a candidate for hair transplant, we would love to meet you. Review our Before and After Hair Transplant Gallery to review our results!